Foodservice Equipment Reports magazine has recognized Burkett Restaurant Equipment & Supplies as one of seven national recipients of the prestigious Management Excellence Award in its 2019 Industry Excellence Awards. Management Excellence Awards are among the most prestigious in the foodservice industry. The award recognizes excellence in the management of unit and facilities development, design, Equipment & Supplies purchasing and maintenance functions in commercial and noncommercial foodservice operations; in the delivery and performance of E&S functions and services by E&S dealers and distributors; and in the delivery of services by foodservice consulting firms and service agencies. This is the first time the company has ever won the award. Recipients will be honored at FER’s Industry Awards Gala on May 19, 2019 during the National Restaurant Association Show in Chicago. Click here to read the full article in this month’s FER Magazine. Happy Thanksgiving from Burkett Restaurant Equipment! 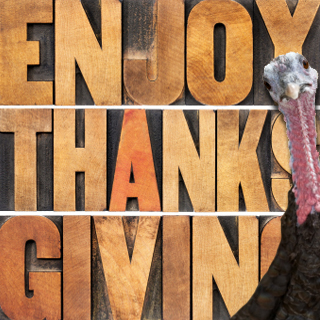 Burkett would like to wish you a Happy Thanksgiving! Stay tuned for our amazing Black Friday and Cyber Monday deals coming your way! Have you ever had a boss that you really, really liked? I’m lucky enough to be in that position right now. 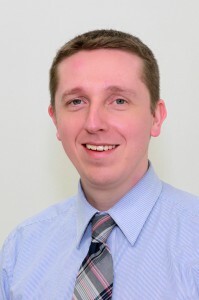 For this month’s edition of Burkett Colleague Connect, I interviewed my manager, Josh Baltzell, our Director of Marketing & Ecommerce. Keep reading to learn a little more about Josh and the impact he’s making on Burkett’s Marketing Department. 1. How long have you worked for Burkett restaurant Equipment? I’ve been with Burkett since October of 2012. It’s been an amazing experience getting to know the whole team. Everyone is so young and opinionated and full of energy! 2. Why did you get into marketing and ecommerce? I am a very technical guy, but I started out wanting to do graphic design. That’s what got me doing web work using Classic ASP and ASP.NET early in my career. There’s no place like the web for combining my love of making things beautiful and also functional. I enjoy getting involved in everything from graphics (possibly to our graphic designer’s chagrin), to web coding, to the tracking and reporting that modern marketing requires. The first ecommerce websites I ever worked with were internal systems for ordering custom printed marketing materials for Fortune 500 companies. That was the most complicated ordering process I have seen to date! I wrote the code myself from scratch. That is probably the best (or maybe worst) way to get in to ecommerce. After that experience I feel that I know where the complexities are in either original code, or in the various ecommerce platforms that are available out there. 3. How would you describe Burkett’s culture in three words? 4. What are our biggest marketing challenges at Burkett Restaurant Equipment? Marketing a Business-to-Business company can be a challenge. Most advertising or marketing possibilities on the web are geared toward consumers. Since we sell so much restaurant equipment, it can be hard to hone our marketing to just hit those that are actually interested in commercial equipment. Tracking that marketing is also an area where we spend a lot of time. We are always looking for new ways to know how well our marketing is working. 5. What are a few lessons from your previous marketing experience that you’re applying at Burkett today? Omni-channel ordering consistency. That’s a fancy way of saying that every order we accept goes through our channels the same way. At my previous jobs, ordering consistency could be considered “low-hanging fruit” because we only accepted web orders. However, Burkett is able to take orders via chat, email, phone, web, and in our showroom; we have to really put some thought in to how it works behind the scenes. Doing a great job with Omni-channel is one of the ways that I think we can give our customers an even better ordering experience. 6. Do you consider yourself left brained (analytic) or right brained (creative)? You’d probably have to ask my wife or coworkers that one. If it helps, I do the budget at home, but I also picked the paint colors and love taking photos with my Canon SLR. 7. What is something about the Burkett environment that an outsider wouldn’t notice at first? We love to chat! I thought the marketing room was so quiet when I first started, but then I realized that everyone socializes just like I do, over chat, texts, and emails. Never judge a book by its cover, or an office by its volume level. It’s fair to say that this post will have nothing to do with Restaurant Equipment, but it does have something to do with food. And that is something we all have in common. Father’s Day is upon us. For me, that means celebrating the man in my life with meat and beer and spicy stuff. I’ve spent the last few nights pouring over Burkett’s Pinterest boards looking for the perfect recipes and DIY crafts for the children to make. Here’s a glimpse of what’s on our menu for this Father’s Day. First thing’s first, open your beer and start drinking. Then warm your outdoor grill to medium heat. In a small bowl mix mustard, salt and pepper, then brush chicken with mustard mix. When your beer is half empty, pour your ½ Cup of Italian Salad dressing and juice from half of the lemon into the can. Put the can on a disposable baking sheet. 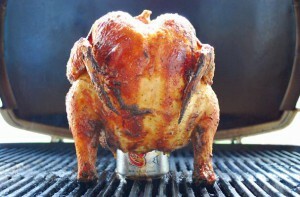 Place upright chicken on the can like a stand, inserting the can into the cavity of the chicken. Place baking sheet with beer and chicken on the preheated grill. Cover and set your timer for 1 hour. Carefully slice into the chicken to check for doneness. 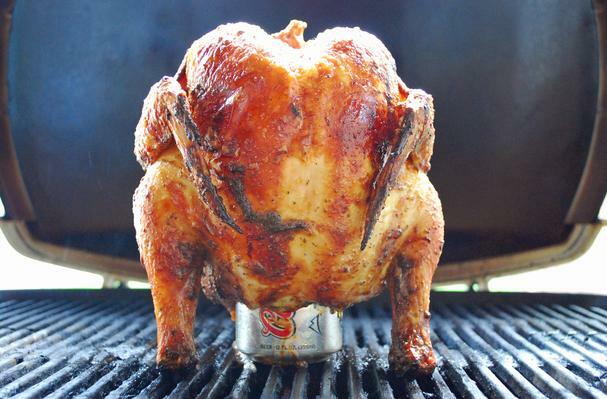 When the meat is no longer pink, take the chicken off the grill and allow it to sit for 15 minutes. I’m also throwing together some Buffalo Macaroni and Cheese using this recipe, but omitting the chicken. We’re big fans of mac and cheese in our house. Finally, with the help of my trusted assistants pictured below, we’ll make peanut butter cup puppy chow. Using another simple recipe I found, I might be looking forward to this treat the most. Combine the cereal in a bowl and set aside. Divide the powdered sugar into 2 big Ziploc bags and set aside. Place the CandiQuik in the microwave for 1 minute. Stir. Heat an additional minute, stirring every 30 seconds. Spoon the peanut butter into the melted chocolate and stir until smooth. I’d love to hear what you have planned. Let us know! This past weekend, a group of Burkett Restaurant Equipment employees trekked to Chicago to attend the 2013 NRA Show. This was my first experience at an industry trade show and all I have to say is, WOW. I had my priorities as the Social Media Manager: take pictures, tweet, and have fun. I think I more than managed to master each. Despite being a self-proclaimed wordsmith, I’m not sure I have the right adjectives to accurately describe the sheer magnitude of this show. Spanning two halls and multiple floors, the size was astonishing. Vendors, manufacturers, inventors – if it was related to the foodservice industry, it was there. We walked every aisle, stopped at nearly every booth, and talked and ate… and talked and ate. As a vegetarian dabbling with the idea of going gluten free (high maintenance, I know) I was pleased to see that there were quite a few options for me to stuff myself, even with a restricted diet. And the desserts…OH MY desserts! Remember the movie Willy Wonka and the Chocolate Factory? That’s how I felt at the NRA Show. Every turn there were gourmet coffees, delicious treats and enticing smells. Turn to the right and you’ll find a state-of-the-art juicing system. Turn to the left and you’re presented with the True Manufacturing booth and endless rows of best in class refrigeration. We stopped by the Mozo booth where I was struck with shoe envy. I’m eagerly anticipating the Farmer’s Market Collection, available this summer. How did I not know about those adorable yet work-appropriate shoes when I was waitressing? We then passed through what I dubbed the “Tech Side” of the hall. I’m not an overly techie person. I like my modern day conveniences as much as the next 30-something. I would have never guessed the huge impact that technology is having on the foodservice industry. From online reservations, to point of service tablets, to touchscreen onsite feedback devices from Humm, the way we do business is radically changing with technology. By the end of the weekend, I was full of information and caffeinated ice cream and couldn’t wait to tell you all about my positive experience. If you’re in the industry, I encourage you to attend at least one NRA Show. There is so much to learn and see. After just two days, I realized that despite a rocky economy the foodservice industry is continually pushing the envelope on innovation and success. It’s time for the Burkett Colleague Connect! This month, I sat down with one of our Product Specialists, Rachel Dute. 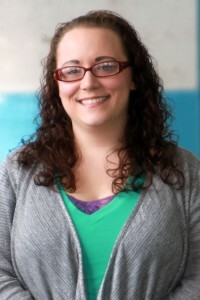 Despite being busy with her day job and planning her upcoming wedding, Rachel was gracious enough to give me some insights into a Product Specialist’s daily routine and what’s to come for the rest of 2013. 1. How long have you worked for Burkett Restaurant Equipment? I’ve been with Burkett about a year and a half now. 3. What is something about the Burkett environment that someone wouldn’t notice at first glance? How close everyone is here. 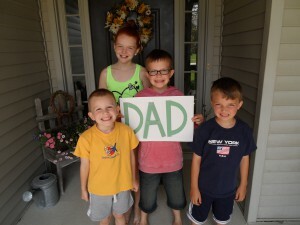 Most of us have been working here for some time and Burkett really encourages a family-like atmosphere. When you are close with your coworkers it makes communication much more natural and team building happens almost on it’s own. Strong teams are successful teams and that benefits everyone. 4. What are the key tasks for a product specialist? Product Specialists here at Burkett have a large scope of tasks that we are responsible for. Each product specialist has a dedicated area of our website to maintain which includes individual product listings, corporate and brand pages, as well as navigation and functionality of the web site. We spend time ensuring the accuracy of product information to the best of our ability, and work closely with representatives from each vendor to provide the most up-to-date information available. 5. As a product specialist, you need a lot of skills to do your job successfully. What would you say is the most important? I think excellent communication is the most essential skill for product specialists to have. We can teach you to work within the platform, you can learn to code, but if you cannot communicate with others effectively then it’s going to make it very difficult to succeed in this position. 6. As we approach the midway point of 2013, what are you looking forward to for the rest of the year at Burkett? I am looking forward to some exciting training opportunities I have coming up this year! Learning the industry, vendors, and specific products more thoroughly will help me as a product specialist because I also learn about which features are most important to our customers. This helps me present product information more effectively to our online customers. 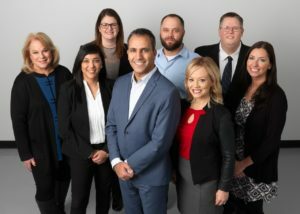 Burkett Colleague Connect is back and this month we introduce our National Sales Manager, Nathan Beucler. Keep reading for a short interview with Nathan about what it takes to be in sales at Burkett Restaurant Equipment. 2. How did you get involved in Sales? My very first job at 16 was in sales (FootAction USA) and have loved the personal interaction. Almost every job I held dealt with the public or had personal interaction and I just fell in love with the concept of customer satisfaction. Having happy customers is more important to me than most would imagine. 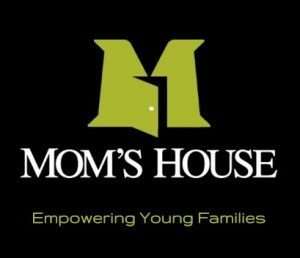 My entire schooling was focused on business; with a degree in Professional Sales and Information Systems, working with a tech savvy company makes it even more of joy today. 4. How do you differentiate Burkett from other equipment dealers? 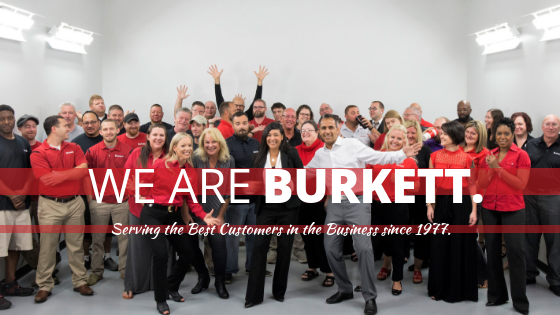 Burkett is constantly striving to be at the top when it comes to technology and customer support. The working environment is filled with fun yet serious coworkers that are all about customer service. We are here for the right reasons, not just a paycheck. 5. What is the most significant challenges sales managers face in this economy? Customers tend to use the saying “you need my business in this economy”, well, this economy has not totally destroyed the foodservice industry. People are still going out to eat; servers are still breaking dishes and equipment still needs to function at 100%. We offer products that will fit just about any budget and can deliver quickly to keep customers operations going without missing a beat. 6. Are there any sales management skills or behaviors that are more important today than in the past? If so, what are they? Sales Managers are constantly striving to motivate the sales team to be their individual best. Being a sales manager is not all about selling or being the best salesman on the floor. Your best sales managers are those that work WITH the sales team to help them succeed. A sales manager is not successful unless the sales team is successful. Keeping focus of the ultimate goal, Customer’s First, can be difficult, especially when personal emotions run strong. Many times, you have to take the personal emotions out of the equation before you can make a critical decision. 7. In regards to sales performance, what are you goals for Burkett for 2013? 2013 brings all new challenges for Burkett. We are working on some sales incentive programs that will help add value to the products that we offer to customers. One of our goals is to reduce the amount of returns. To achieve this, our sales staff is becoming more educated on each individual item and will be a wealth of knowledge to each customer. By consulting each customer and asking the right questions, we will be able to recommend a product that will better suit the customer based on functionality, not always based on price. By consulting with customers, we will be building a stronger relationship with each of our customers/partners. We’re not here just to take orders; we want each customer to see us as a resource and partner in their business for the long term! The National Association of Food Equipment Dealers (NAFED) presented Jameel Burkett, President and CEO of Burkett Restaurant Equipment with a 2012 Sales Growth Achiever of the Year Award on March 6, 2013. NAFED is a cooperative buying organization with 58 Food Service Equipment Dealers. This award was given to the Burkett team in recognition of their outstanding performance in the marketplace. Since 2009, Burkett has more than doubled their group purchases, and that growth has continued into early 2013. In a brief acceptance speech, Mr. Burkett thanked the NAFED members and gave a few words about what has driven Burkett Restaurant Equipment’s growth. The NAFED Sales Growth Achiever of the Year award was created to encourage, promote and recognize outstanding performance and growth among NAFED members. Congratulations to our Burkett Team!